A recent commit in the Android Open Source Project Gerrit revealed that Google is working on adding hardware support for multi-SIM capabilities. One of the comments from a Googler suggests that the upcoming Pixel 4 will be packing support for eSIM and a physical SIM with dual standby. The Google Pixel 4 is expected to land in October, but there are already a few interesting bits of information related to it in the rumor mill. However, until the next major iteration of the Google Pixel family shows up, two more Google handsets are expected to show up — a Pixel 3 Lite and a Pixel 3 Lite XL. While it is obvious that the Google Pixel 4 will launch with Android Q onboard, there is not much to say about its specs and features. Obviously, some rumors claim that Google will finally use a dual camera for the upcoming flagship, but today it is about the dual-SIM capabilities of this handset. According to a new commit in the Android Open Source Project Gerrit, the framework and Telephony service now include property values for multi-SIM hardware support. A message posted by a Googler on the AOSP Gerrit says that these new values are needed "to differentiate 2018 Pixel (which has 2 SIM cards, but dual SIM functionality is restricted to dog fooding) from 2019 Pixel (which will have dual SIM functionality)." 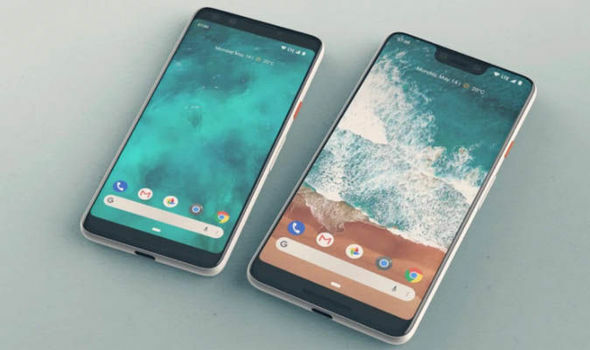 For now, nothing is official, but it is rather safe to assume that the Google Pixel 4 will support eSIM and regular SIM cards in dual standby mode, similar to the latest Apple iPhone flagships. Even more, the Google Pixel 2 and Google Pixel 3 might be updated with improved dual SIM support as well. On the other hand, we will probably see the Pixel 3 Lite and Pixel 3 Lite XL landing at Verizon before anything else happens, so stay tuned.